The Australian Government has announced more than $750,000 for 18 projects from the Festivals Australia program that assists community members living in regional and remote Australia to participate in or attend an arts driven experience at a festival or community celebration. Minister for the Arts Mitch Fifield said the funding in this round will support 18 high quality, innovative festival related projects that aim to encourage community participation and attendance and support partnerships and collaboration across the arts and culture sector. 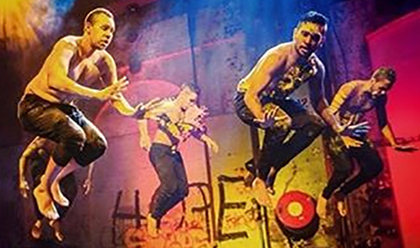 “This funding round includes both single and multi-year projects that will take place across six states and territories and represent a range of art forms from music, circus arts, community arts, multimedia, digital arts and craft,” Minister Fifield said. Projects across Australia include: the Alice Springs Beanie Festival, Can You See What We See? for Tasmania’s Junction Arts Festival and Warrnambool’s Fun4Kids Festival and their large scale multi-sensory art installation, Oceanarium. Other projects to receive funding include: a showcase of Indigenous art and culture as part of the 2016 Bluesfest Festival program in Byron Bay, activities associated with the 2016 Opening Ceremony of the Artlands Festival in Dubbo, and opportunities for the local community to participate in flying trapeze workshops during the Desert Harmony Festival in Tennant Creek, Northern Territory. Festivals Australia program complements other Australian Government funding aimed at supporting cultural activity in regional communities, delivered through the National Collecting Institutions Touring and Outreach program, the Visions of Australia program and the Regional Arts Fund. With annual funding of approximately $1.2 million a year, Festivals Australia delivers two funding rounds each year, with allocation of funding decided on an open and competitive basis. 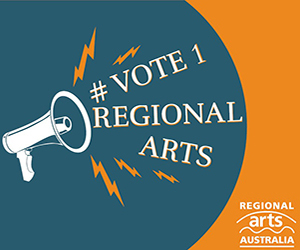 For more information, and to view funding recipients, visit: www.arts.gov.au/festivals-australia for details.